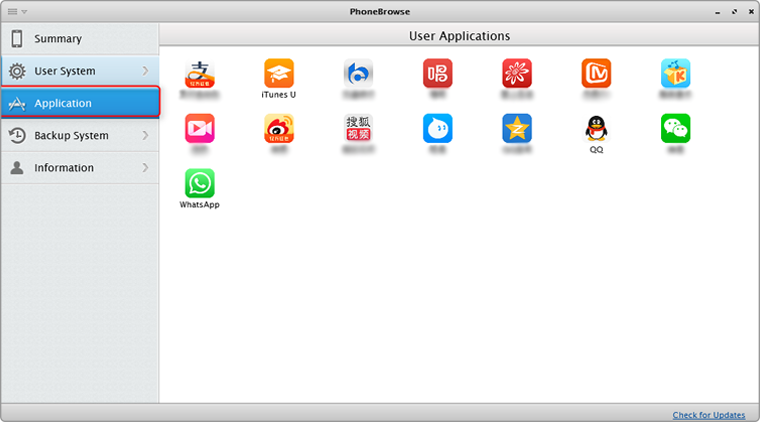 PhoneBrowse is a way created for user to browse iDevices applications. 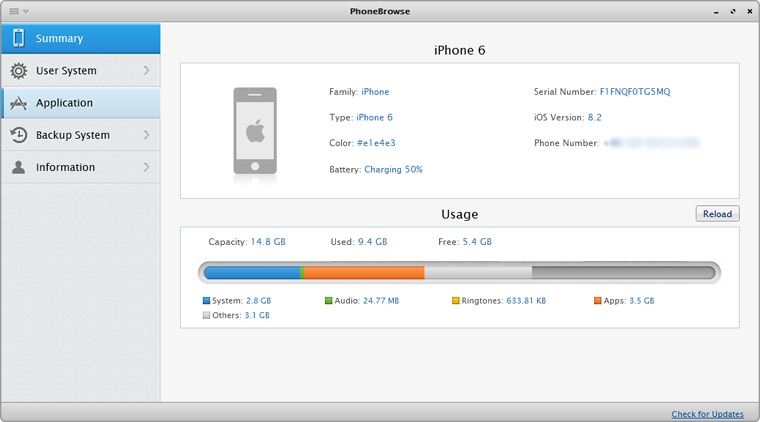 Step 1: Please connect your device after launching PhoneBrowse, and then you can give a view on the basic information about your iPhone. 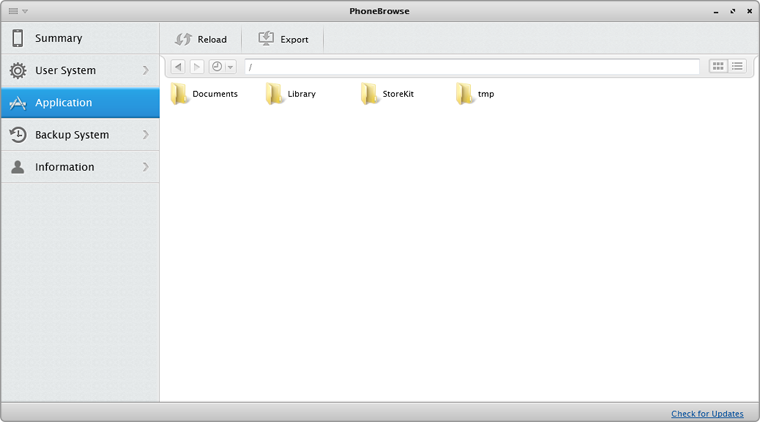 Step 2: Choose Applications, and then all applications will appear.